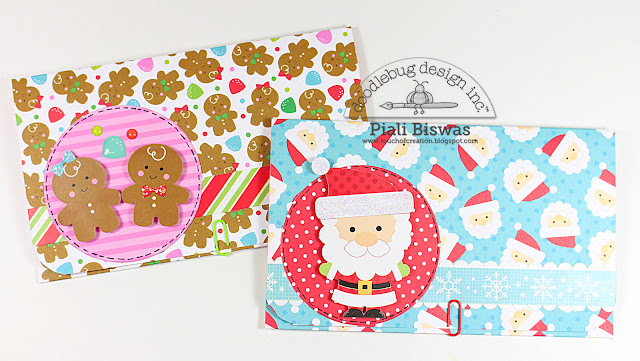 Piali here, I'm super excited to share my Sugarplums Collection projects with you all!!! Today I have created few gift bags and gift holders. I used Silhouette cut file for these pillow box ,looks like cute bags, will be great for small jewelry or gift cards or just candies. I used the super cute snowman tag from Christmas Tags craft kit and added a mini tag from the sticker sheet. The new holiday washi tapes are super fun , this Santa one is my favorite!!! I also used the twine from the holiday collection and some Spinkles. The mini doilies are perfect size for this project!! 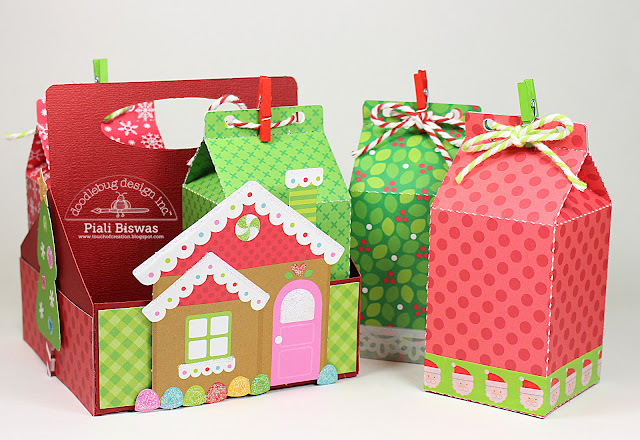 Four milk carton containers for variety of sweet treats in a cute holder. I also used a Silhouette cut file for this . Did you all see the new Chunky twine by Doodlebug.... you are going love this stuff!!! I used all the different washi tapes from the Sugarplums collection on the milk cartons and some mini clothes pins. I embellished this packaging with Sugarplums diecuts. It is super easy to make... cut a 5"x8" piece of cardstock and score it at 2" and 5". Fast & easy gift card holders with whole lot of Doodlebug cuteness!!! I used the Fancy Frills border stickers and Cardstock stickers to embellish the holders. The mini paperclips are perfect as closures!! Hope you all liked these holiday gift packaging ideas!!! Omg...everything is so cute!!! I love them all!! Liked and shared in facebook. What cute gift boxes! I love all of the details, thanks for the inspiration. I pinned the gift boxes. I pinned the 3D boxes. I pinned the gift card holders. 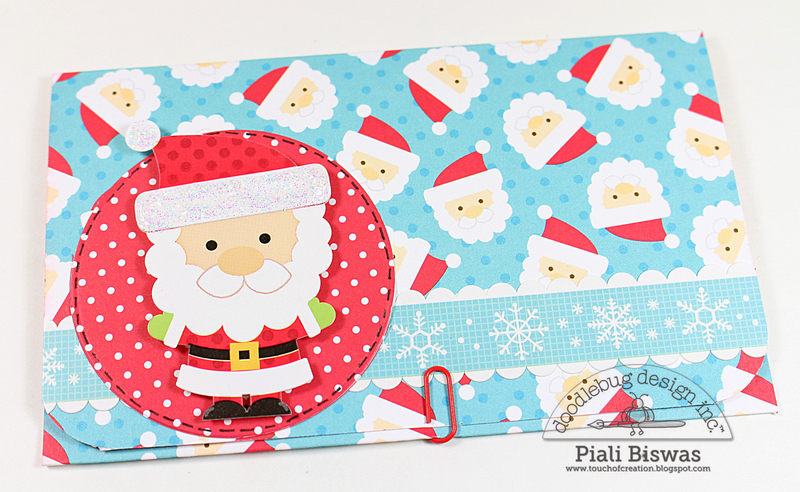 Piali is SUPER clever and way talented - what cute gift and treat containers!!!! WOW - so fun and just AMAZING!!!! I follow in Instagram so I don't miss anything!!! Shared this goodness on Facebook!!!! Love it!! I pinned the boxes to my paper crafts board. I pinned the gift cards to my paper crafts board.